Life is hectic these days and it is important to take time out to relax. Take time out for you with a simple hand-sewn felt craft project. Enjoy your visit and happy sewing! 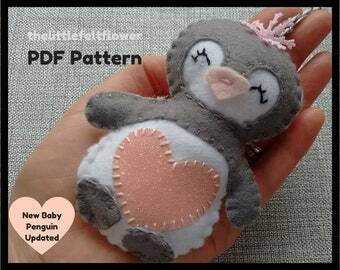 Fun, Inspiring and Relaxing Easy to follow Felt Sewing Tutorials & Patterns !!! 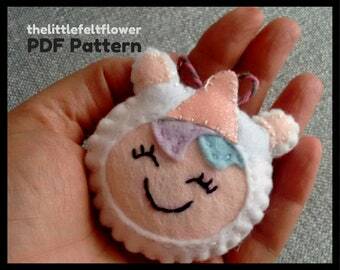 My name is Nicola and I design and make patterns and tutorials for lots of little felt creations.I started making felt food for my daughters Christmas to use with her toy kitchen, then moved onto making lots of Christmas decorations and fell in love with felt sewing crafts. I also loved that crafting with felt was my time to relax, when my busy toddler slept. It was relaxing, calming and fun to make these items for others. I had worked as a clothing pattern maker/grader so had made patterns before but enjoyed the whole process of designing and creating products using felt, so began to create my own unique designs and patterns. I wanted to share my designs and the benefits I had felt from crafting by selling patterns and tutorials designed to be fun, inspiring and relaxing but also easy to follow. My etsy shop www.thelittlefeltflower.co.uk was born and named after my first tutorial the layered felt flower brooch. Thank you so much for reading and Welcome to my shop.